powder, curry leaves, soda, green chillies and cumin powder. and drop them into the hot oil. brown and crispy and remove from the oil. 7. Serve on a cloudy day with a cup of hot tea. very yummy snacks.. perfectly clicked.. They look mouthwatering…should try it soon.. Superb snack looks delicious !! This is the way I like onion pakodi. Not too crisp. Awesome snack!! Loved the clicks too 🙂 You've got yummy collection of recipes !! Onion pakoras looks delicious. Excellent preparation. Pakora looks superb and crunchy..
Super tempting pakoras,feel like munching some. You have a really nice site here. Thanks for pointing out that someone has shamelessly copied my bitter melon recipe without permission. I also found another site that has been stealing my recipes and pictures. This happens all the time. Terrible, considering all of the hard work us honest bloggers do. 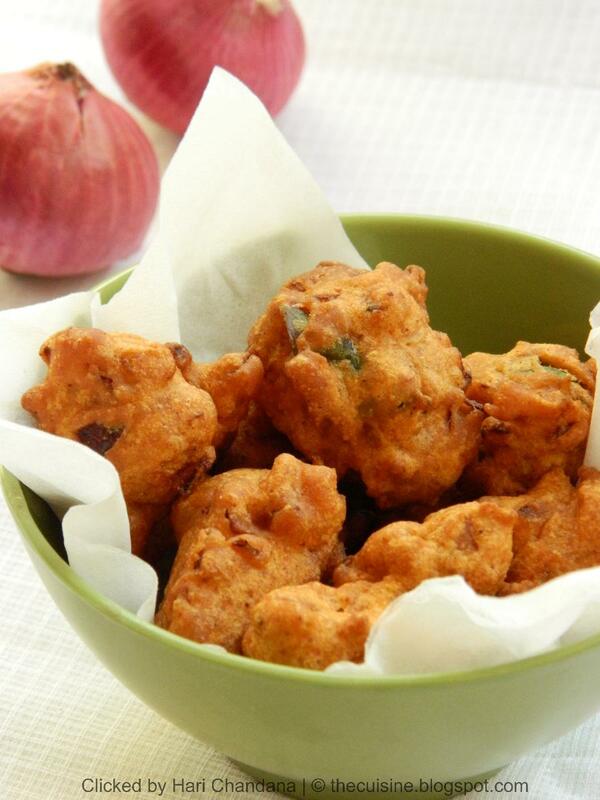 super tempting and perfect pakoras for this winter season..